This petition which has been filed in the nature of public interest seeks to raise an important issue about engagement of teachers of recognized and aided institutions under the provisions of U.P. Intermediate Education Act, 1921 for the purpose of conducting the election duties in regard to the elections for members of the Kshetra Panchayat and Zila Panchayat on teaching days and in the middle of academic sessions. 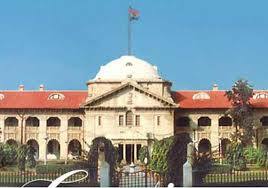 Learned counsel for the petitioners has placed before this Court a decision of the Supreme Court in (2008) 2 SCC 3901 and has submitted that the guidelines issued by the Supreme Court have not been followed while fixing dates for the forthcoming elections of Kshetra Panchayat and Zila Panchayat of 2015. Learned Standing Counsel appears for respondent Nos. 2 and 4 while Sri Tarun Agarwal appears for respondent No. 3. Learned counsel for the respondents have stated that for the schools governed by the Rights of Children to Free and Compulsory Education Act, 2009, Section 27 provides for deployment of teachers for duties relating to elections to the Local Authorities, the State Legislature or Parliament and has also placed reliance upon two Division Bench judgements of this Court in Public Interest Litigation (PIL) No. 11028 of 20152 and Writ-C No. 34551 of 20153. In this view of the matter, it would be necessary to obtain the views of the respondents. A counter affidavit may be filed within three weeks. Rejoinder affidavit, if any, may be filed within one week. List this petition on 4 November 2015. अध्यापकों की चुनाव में ड्यूटी लगाने के विरोध में एक और याचिका जो उक्त याचिका के साथ सम्बद्ध है. Connect with Public Interest Litigation No.56171 of 2015 where a similar issue is engaging attention of the Court.